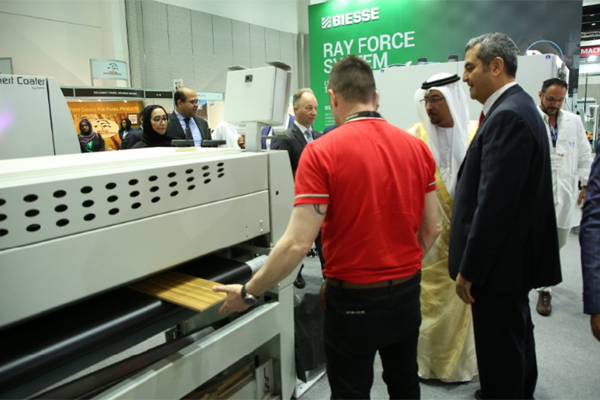 Dubai WoodShow 2019, the region's largest wood and wood machinery showcase, closed on a grand note with a record number of over 240 exhibitors from 45 countries with 48 first-time participants and a packed show of over 530 brands. The show, which saw 192 repeat exhibitors showcase their products at the Dubai World Trade Centre, also recorded onsite deals worth $70 million. "The record number of exhibitors and visitors for this year’s show underscores Dubai WoodShow’s popularity in the Middle East and across the world," remarked Walid Farghal, the director general of Strategic Marketing & Exhibitions, the event organiser. "It also reflects the healthy performance and confidence of the industry and its vital role as a major driver for a healthier global economy," stated Farghal. In addition to displaying innovative offerings, Dubai WoodShow also hosted a special conference led by Forest Stewardship Council (FSC) which has issued certification to close to two million hectares of forest worldwide. The conference focused on FSC certification’s benefits to businesses with specific focus on furniture and construction sector. Anushree Shukla, the value chain development manager of FSC International, emphasised the importance of FSC certification for professionals of the industry, as well as how FSC can serve as a strategic marketing tool for wood and wood machinery companies to access new and emerging markets. "This has been a great show, and most of the companies participating this year have had outstanding three days," she added. On its participation, Elizaveta Kopysova, the congress and exhibition division manager and senior project manager of AGT Communications Agency in Russia, said: "The show is host to some of our main markets including the UAE, Africa and also countries like India, Iran and Sri Lanka which serve as the key drivers for the growth of our economy." Dubai WoodShow is an international trade exhibition that showcases the latest wood products, woodworking, machine tools, and new technology.